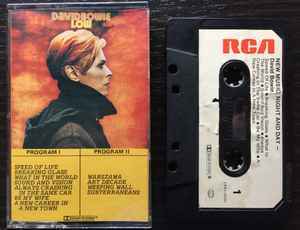 The first printings of "Low" on RCA Canada jumped the gun and used Bowie's original planned title for the album, "New Music: Night And Day" on the inside cassette labels. It was quickly withdrawn. Paper labels instead of on-shell printing with red RCA logo.